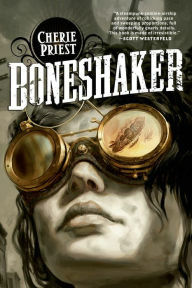 As many of you know, I've been singing the praises about author Denise Grover Swank all over the internet. A short while ago I just finished reading her novel Twenty-Eight and a Half Wishes and I LOVED it. Seriously, I've already started buying it for all the ladies I know. When the opportunity came up to feature a great indie author for INDIEpendence day, I knew it had to be Denise. 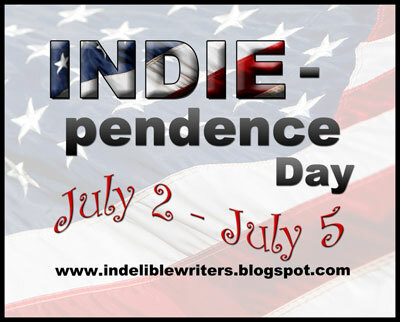 INDIEpendence day is a celebration of fabulous indie authors hosted by the Indelibles, which I am honored to be a part of. To find out more about INDIEpendence day or to join in on it, go here. Don't forget to check out the links at the bottom of this post for more great indie features. Hi Denise! Your novel was not only a great mystery with a touch of magic thrown in, it was one of the funniest books I've read in a long time. I laughed so hard I cried. What inspired you to write such a touching, funny, and exciting book? Denise: I'd just finished Chosen which is much darker and edgier and decided I wanted to write something that was lighter and humorous. Twenty-Eight and a Half Wishes is more like my family blog, There's Always Room for One More. I used to take my children's zany often disastrous adventures and put a humorous spin on them. But I'm a widow with small children so I would sometimes interject things I struggled with. I think Twenty-Eight is a combination of my old blog posts with a sweet, funny, endearing main character who finally decides to live her life. In some ways, I guess Rose is a bit like me. Knowing that adds so much more, love that! I'm going to have to read it again (with pleasure)!What was your favorite part of writing Twenty-Eight and a Half Wishes? Denise: Wow, that's hard. Honestly, I think it was the scene when Joe finds her drinking on her front porch and teaches her the rules of drinking (as well as giving her her first kiss). I was on Twitter and Facebook that night asking people to help me come up with the rules. And also encouraging them to drink with me. (I had a glass of wine.) I turned it into a competition seeing which social network had more people joining me. Twitter won, of course. How fun! Our Twitter peeps are the best! I loved Rose, she was reluctantly innocent, adventurous, and never gave up. But I'm curious, who was your favorite character to write? Denise: Rose, Her enthusiasm to embrace what little life she thought she had left was inspiring to me-- and still is. But I also really liked Mildred, her eighty-two year old neighbor across the street. She'll be in the next book in a bigger capacity. And truth be told, although Momma's only in the book in the first two chapters, I had a lot of fun coming up with things she erroneously told Rose. I think my favorite was that Momma didn't let any computers into the house because she took the brand name Gateway to mean the gateway to hell. That was one of my favorite things about Momma too! I know you have a great looking paranormal thriller, Chosen, coming out later this month, but can you tell us if you have anything more in store for Rose from Twenty-Eight and a Half Wishes? Denise: I plan to write Sacrifice, the third book in my Chosen series and then hopefully write Twenty-Nine and a Half Reasons for NaNoWriMo. Technically, I'll be cheating a bit since I've already started it and have about two chapters. So shhh... Let it be our secret. 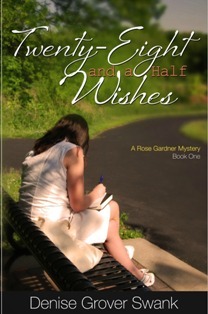 I have three Rose Gardner Mystery books semi-plotted out. I plan (at this point) to write one a year. No worries, I won't tell a soul. *hides computer and clears throat...* Thanks so much for joining us Denise. Any closing thoughts to leave us with? Denise: I had always heard write your story and don't worry about trends. So I wrote Twenty-Eight and a Half Wishes and sent it out into the publishing world and heard over and over and over "great story, great voice, not for me." But I also realized Twenty-Eight doesn't fit neatly on a book store shelf. It's not just a mystery, yet it's not a true romantic suspense. Then there's the tiny bit of women's fic and not to mention the humor. But when I considered taking any of those pieces out, I lost the heart of the story, Rose's story.It just wasn't the same. My gut told me to keep it and I'm so glad I did. I'm so glad you did too because it was amazing, so amazing that it convinced me traditional publisher make mistakes and pass up fantastic books. I loved Twenty-Eight and a Half Wishes so much that you made a fan for life in me and I'm looking forward to reading everything you write! 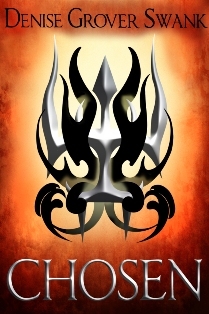 :) I hope you'll all join me in ordering Chosen here and I hope you'll pick up Twenty-Eight and a Half Wishes too because you'll love it! This book sounds good, hope to win. Denise is getting lots of love on the hop! I've already got her books on my TBR, but I should probably move them up! You really should, her books are fabulous! Great interview, Heather. I loved 28 1/2 Wishes! So glad to hear Denise is doing more Rose Gardner books! I want to read them! Plus, wow, I've had a very similar experience with the publishing world with my not-quite romantic suspense or women's fic or straight suspense ms. Interesting! Oh... I loved the interview and had so much fun reading 28 1/2 Wishes! This was great book! Denise, you did fantastic. So much fun. I love your style and will read all your books. Thank you Heather for a great interview! And Denise for the wonderful entertainment. 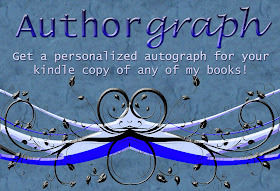 Thank you for stopping by my blog and commenting. I will miss Graeme very much but you are right this is only "See you later". That's great Laura! I had no idea you were spotlighting her too. Love it! Both of these sound great! Thanks for the heads up about them. You're welcome. You'll love her writing!